The One who makes ample and plentiful all that is needed. The One who expands and amplifies all abundance. The One who makes the way wide and open. The One who stretches out a helping hand to mankind. The One whose open hand releases joy, comfort and abundance. The One who infuses the soul into body. The One who has filled the heart with spiritual abundance. The One whose glory and abundance fill and expand the heart. 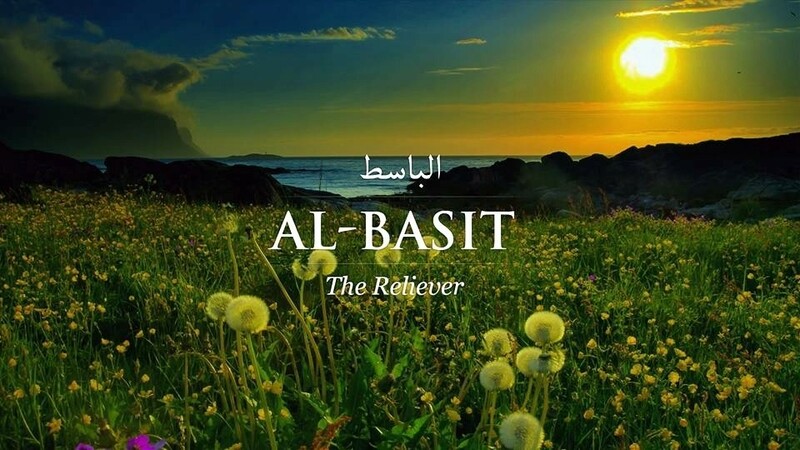 The term Bâsit is not specifically used as a Beautiful Name in the Qur'ân. The term Bâsit includes a powerful and majestic sense of infusing into something a gift which will grow and flourish in great abundance. Qâbid (constrictor) and Bâsit (expander) are opposites.